Kristina Hernandez is a Las Vegas native, actress, and dancer. She is the star of the Oscar-Award winning short Film “Stealth”, the story of a young transgender girl starting fresh at a new middle school, trying to navigate through life and dealing with the real life struggles that transgender youth face. Kristina’s outstanding performance won her several awards including “Best Performance in a Lead Role” at the Kashish International Film Festival in India, as well as the “Rising Star Award” at the SOHO International Film Festival in New York. 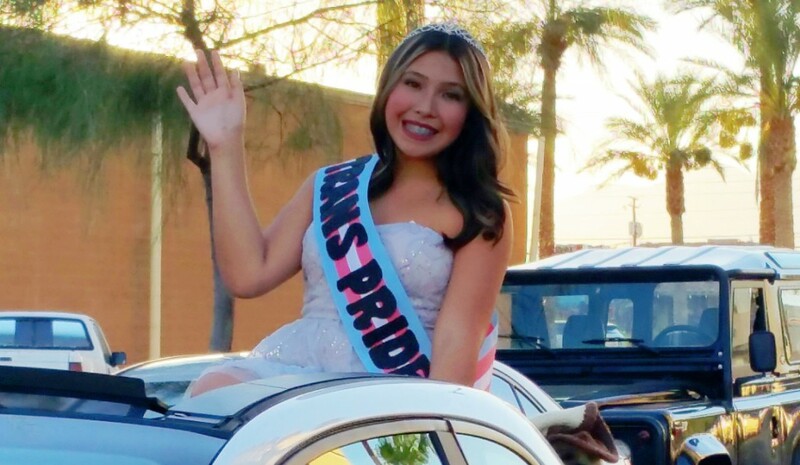 At 13, Kristina Hernandez is already a well-known activist in the Las Vegas transgender community, fighting for the rights of transgender students in Clark County schools. Kristina spoke bravely and passionately at multiple Clark County School District Trustee meetings, imploring the trustees to implement transgender discrimination policy in CCSD. Kristina was interviewed for a feature article in the Las Vegas Review Journal in which she bravely shared her story about the struggles that she faced while transitioning in middle school at the age of 11. 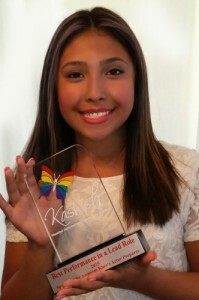 Kristina is an example of bravery, perseverance, and strength. Her light shines bright in our community, inspiring young and old alike.